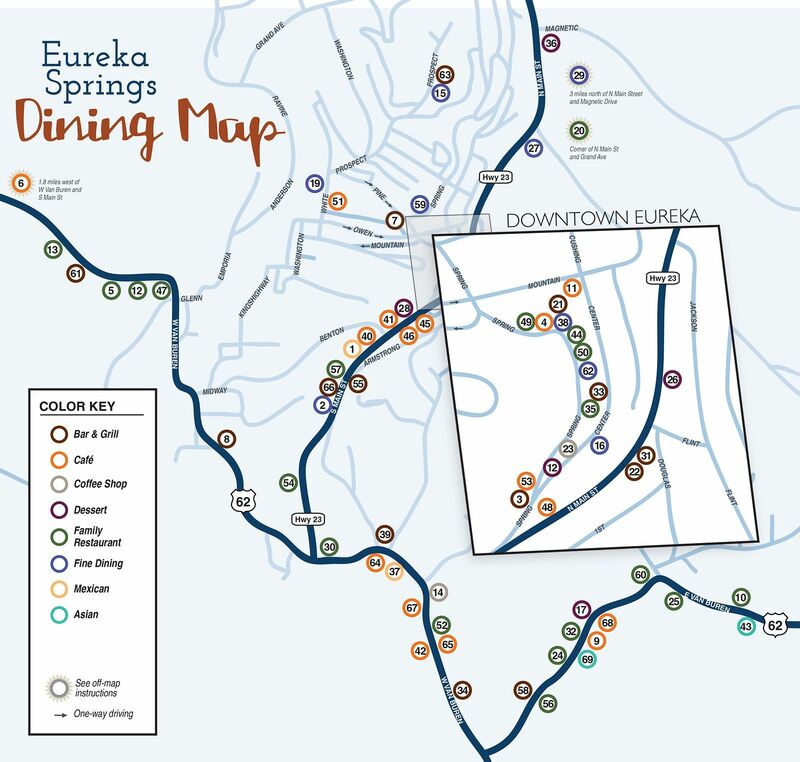 Dining in Eureka Springs is an experience unlike any other. There are more choices in atmosphere, flavor and presentation than could possibly be experienced in a single trip to town. Eureka Springs Visitor presents a complete list of establishments to choose from, arranged on a map of Eureka Springs, organized by Color Key, at bottom left, and listed alphabetically. Note the featured advertisers on the list. They are supplied with a more detailed description and connectivity to websites and facebook pages as well as access to their Google Maps location. Contact Rhonda Worrall to have your establishment featured.